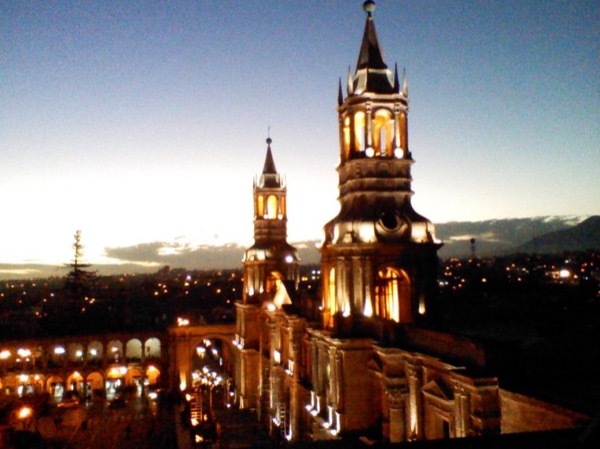 City tour in Arequipa and Yanahuara (surroundings). With Santa Catalina convent. It's a nice half walking, and half by car tour. Includes the nice streets, squares, XVIII century houses, churches and the famous Santa Catalina Convent, which is a city within the city. It takes about 5 hours, 3 hours and after lunch, we'll visit the convent of Santa Catalina. In the morning we visit the city, then at noon, we may go to try the typical food in a restaurant (Picanteria, the local name for this typical restaurants) not included in the package. Then in the afternoon, the visit of the famous convent Santa Catalina. The end of the afternoon, free time, for shopping or resting. After we meet, we will walk through the nice streets of the town center of Arequipa. Then we visit some houses and one or two churches. We can visit the local fruit, vegetables and food typical market of the city. We'll have some time for a cup of coffee, we have some places with a very good quality of Peruvian coffee. Then we take the car, for the surroundings, like sightseeing, and one stop at Yanahuara square and look out of the city. Free time, for typical lunch (not included in the tour). Afternoon, visit of Santa Catalina Convent. Then free time, for shopping or resting. 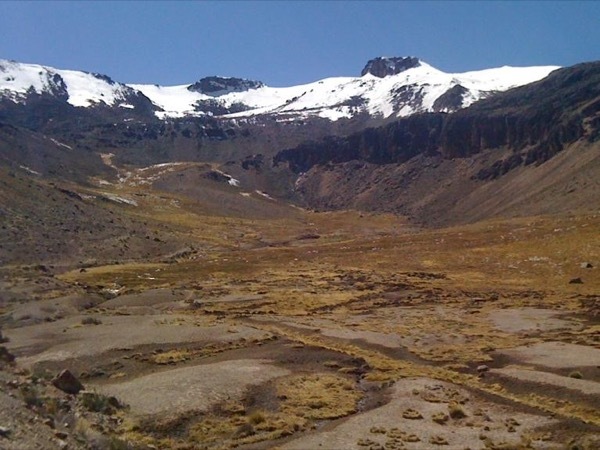 Meeting Point Options: Rail or Bus Station, Cruise Ship Port, Airport, Hotel, Address or Intersection, Monument/Building, Suggested by Guide: Airport or hotel in Arequipa. If you arrive to Matarani Port, we need an extra transportation costs, Please ask for this service. Usually City tours start at 09.00 AM, it's flexible, 30 minuts before or after. The tour is half walking and half by car, in a van type H-1, maximum 7 people. Other: Transportation from and to your hotel, before and at the end of the tour. Entrances fees to the Santa Catalina Convent, Jesuit Church, to visit the polychromatic cupola from XVII century. 150 PEN - Price for a typical lunch, including appetizer and main course, and beverage non alcohol. Other: Meals or beverages are not included in this tour. Discover the deepest canyon in the world. 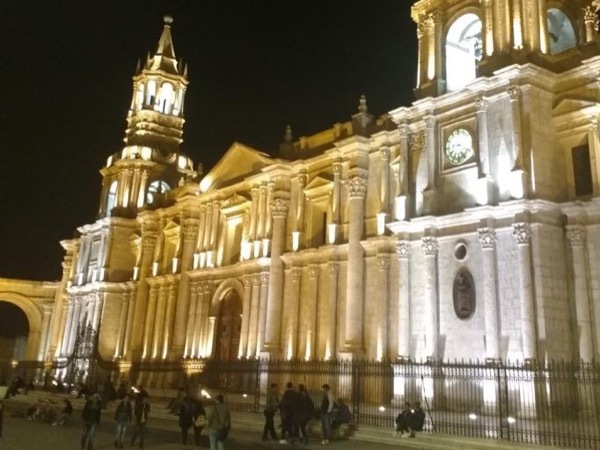 Explore Arequipa in this 3.30 hours tour with your local guide!